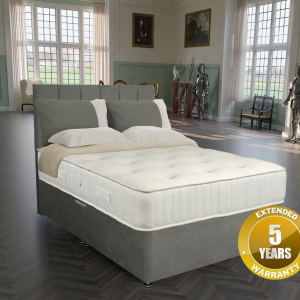 Living luxury; zoned support system offers pressure relieving support for comfort and a sumptuous soft touch for luxurious sleep. 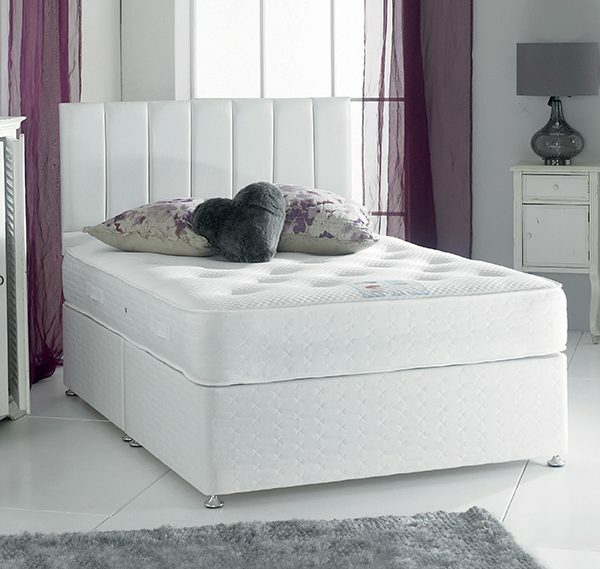 The visco-elastic memory foam adjusts to your body’s shape and movement throughout the night reducing pressure build up enabling you to sleep ache and pain free. 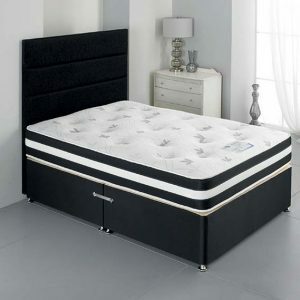 The combination of wadding, padding and filling offers support to the natural curvatures of the back. 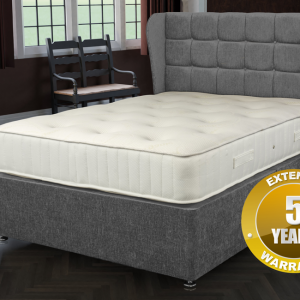 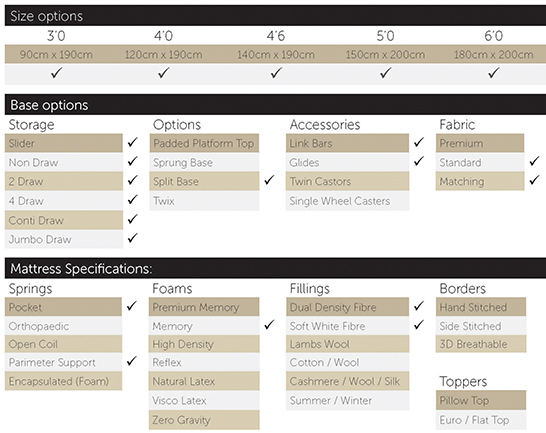 The quality stretch fabric adds to the level of comfort of the mattress as well as being resilient and durable.The multiple fillings are held securely by large woollen tufts, working in harmony with individually pocketed springs which provides a superb feeling of comfort and support.